Technology Has changed how we engage our teams and service our customers. Isn't it time we change the way we nurture new ideas? Work Is In A State Of Flux. V1. Worldwide has identified four trends intrinsically connected to the world of work. 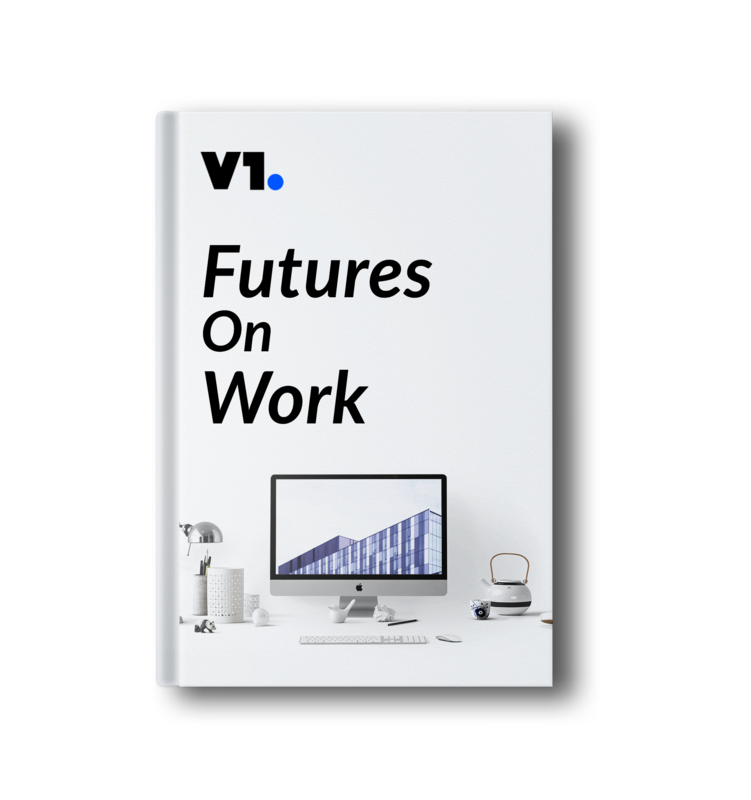 With data collected from in-depth research to insights garnered from interviews with over 20 professionals across a spectrum of industries, V1. Worldwide is proud to present a research report that will help businesses innovate and learn how to take advantage of these incredible new opportunities. From idea exploration to production, we are focused on shaping tomorrow, today. We build stand-alone startups and teams that are customized specifically to the unique end goals of our partners. Teams are trained to follow our proven innovation processes, which include proprietary engineering & design methodologies. Every team we cultivate is fully dedicated to, and aligned with our partner’s successful outcome. Our partners can integrate the startup, and its team, into their own existing organization at any point in the process. Alternatively, partners can request that the startup remain a separate entity. The goal of both options is to keep cost and risk levels low, but ROI and success levels high.